While the public believes that journalism remains crucial for democracy, there is a general sense that the news media are performing this role poorly. In The Social Fact, John Wihbey makes the case that journalism can better serve democracy by focusing on ways of fostering social connection. Wihbey explores how the structure of news, information, and knowledge and their flow through society are changing, and he considers ways in which news media can demonstrate the highest possible societal value in the context of these changes. Read an excerpt from John Wihbey’s The Social Fact below. We have the physical tools of communication as never before. The thoughts and aspirations congruous with them are not communicated, and hence are not common. Without such communication the public will remain shadowy and formless, seeking spasmodically for itself, but seizing and holding its shadow rather than its substance. Our media crisis is more complex than we typically imagine. Growing problems with credibility, trust, polarization, fake news, and the business model underpinning news production are all very real. But beneath these problems are structural rifts we are only beginning to discern. Forces are pulling apart norms and expectations that provide the context for news as we have known it. News is a form of culture, and the culture is changing. Technology fuels these changes, but they represent a fundamental shift in societal needs and values. Overall, the public believes journalism remains crucial for democracy, although there is a broad sense that news media are performing this role poorly. (2) The public vaguely senses new cultural forces at work, but we have only inchoate language and categories through which to respond and understand. Hence a certain plaintive question now haunts us: What is going on with the news? Concerned citizens keep asking this question. Without adequate language, there is confusion and anger. It is a sign of the times that we are now at a loss to define news. News may include a mobile video of a dying protestor or a nightly TV segment about a monster storm swamping a city. It may be a remixed, overdubbed, satirical video of a politician speaking or a quip on Twitter from an activist — or even a sitting president. The definition of news floats around unmoored. Correspondingly, the public’s evaluations of what news does, its quality and its effectiveness, floats around. It no longer makes any sense to speak of the media, although we often fall back on such language. This book is about the structural crisis destabilizing news and how civic-minded media producers should respond. 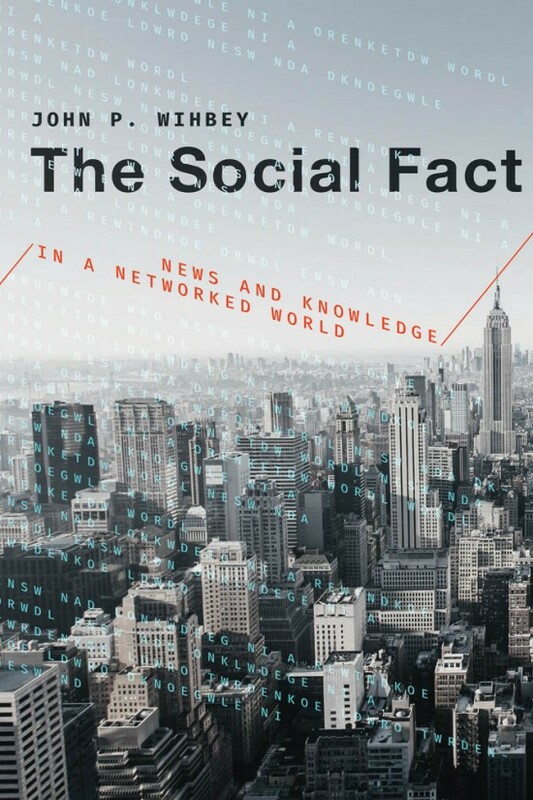 It explores how the structure of news, information, and knowledge, and their flow through society, are changing, and it projects forward ways in which news media can demonstrate the highest possible societal value in the context of these changes. The overarching discussion here is about news, but this book focuses a great deal on the deeper factors that will shape media and the context of production in the future. To understand these factors, we must delve into both network science and the interplay between information and communication technologies (ICTs) and the structure of knowledge in society. These are complicated matters — and we can draw only tentative conclusions — but such exploration is necessary for us to grasp what really may be going on with news, and where current trends may lead us. This book’s insights, in any case, are meant to be accessible to all those concerned about the future of news and public affairs. The reader will, I hope, learn a substantial amount about the underlying patterns that characterize our increasingly networked world of information, with its viral phenomena and whiplash-inducing trends, its extremes and surprises. I aim to put these patterns in their proper context through journeys into media history and into the broader story of our current information revolution. By looking more carefully at the engineering behind information technologies, from the telegraph to the likes of Facebook and Google, this book tries to situate questions about news media practice in broader perspective. The shaping architectures of communications technologies and the systems and ecosystems they create matter a great deal for news. Almost all of our knowledge is socially generated. It does not come through direct experience or experimentation. We get it through testimonies from friends and neighbors. Increasingly, we get it through digital, socially mediated channels and platforms. Social facts now suffuse and influence the entire media ecosystem; they are data used to drive what becomes public knowledge. Filtering algorithms and recommendation engines in news aggregators and social media pick up on social facts, steering audiences to content. Social facts in this way are entangled with what people believe to be true and interesting. Even when we get information through traditional broadcast and newspaper media, it has often come to the attention of producers, reporters, and editors through socially mediated channels. The way that society is changing with respect to public knowledge is frankly quite troubling. These changes help create the context for increasing political polarization. Media fragmentation allows for greater diversity of voices and views, but it diminishes the chances of anchoring the broad public in common, well-justified knowledge. Religious, racial, and geographic identities, as well as issue preferences, have become startlingly and almost mechanically aligned with being a Republican or Democrat, or with left or right ideologies. This is something relatively new in modern society. The political scientist Lilliana Mason has documented this trend toward alignment and concluded that it has deep roots in human psychology. (11) Once group identity is formed, it becomes very difficult to break down. As we discover more about how much social identity serves to color and constrain epistemology, we should be prompted to consider how journalism might address the underlying wiring of identity — the social networks — rather than just look to increase the sheer volume of factual public information. This is particularly important at this moment, as the process of what Mason calls social sorting in the United States has accelerated. Journalists have long talked about the capacity of news to help make democracy work. In a world of expanding social media channels and ICTs, democracy is changing. Journalism must too. The central argument presented in this book is that news media producers must orient their practice toward fostering what I call networks of recognition, dynamic patterns of social connectivity that generate engagement and, ultimately, increase shared public knowledge. Recognition, as I will explain, means something more than mere awareness or attention. It is an idea rooted in a particular conception of democracy and relates to its emerging needs, which are different than those of the past. Networks of recognition gather their public power by being embedded in the shared concerns of citizens. A university press committed to honoring real-world complexity and provoking critical inquiry.